← Guest Post: Are Commodity Investments Shariah-Compliant? Ethica’s award-winning Certified Islamic Finance Executive™ (CIFE™) program now comes with the “CIFE™ Study Notes,” an indispensable 100+ page guide exclusively available to CIFE™ students…now available for a limited time to EVERYONE. With over 20,000 paying users in 44 countries and more than 100 banks and corporates, the Dubai-based institute is the most heavily enrolled Islamic finance certification institute in the world. 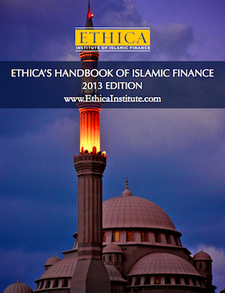 Ethica’s 4-month Certified Islamic Finance Executive™(CIFE™) program is delivered 100% online. matter, all your opinions are generally relatively refreshing. event I did appreciate examining it. writing style has been surprised me. Thank you, quite nice post. future. I want to encourage you to definitely continue your great work, have a nice morning!